Is It Necessary to Clean the Air Conditioner? As soon as the summer arrives, we all start thinking about how to cool off. Air conditioners are always the best choice, but good air conditioning requires constant maintenance of the AC unit. If you have some worries about your air conditioner, you will be calmer if you take some time to clean it before the summer season. That way you will extend its life, and the air conditioner will run smoothly throughout the whole summer. Cleaning your air conditioner not only will extend the life of the unit, but it will also ensure that your unit will be more efficient, functional and with constant airflow. You electric bill will also lower down, so there are lots of benefits of regular cleaning of the AC. There are several methods of cleaning the air conditioning system. The first step is cleaning the unit which is located outdoors. The outdoor unit is always exposed to weather conditions, so it also gets dirty quite more often. Outdoor units take a lot of dust, dirt and different debris, so that is why it is always a better idea to start cleaning from the outside. Duct cleaning is also important because it increases the efficiency of the air conditioner. You do not have to call a service to clean up your air conditioner, and by following some steps you can easily clean it up by yourself. That way you will also save some money, and you will learn some techniques of cleaning the unit. Before you start the process of cleaning the air conditioner, you need to get some items that will help you in the cleaning process. You need a damp cloth for cleaning, gardening or work gloves, screwdrivers, vacuum machine with an attached brush, and a spray hose. The first thing to do when starting to clean the outdoor unit of the AC is to turn the power off. The power switch is usually located close to the machine in a small box. Next step is to remove all other debris, leaves, dust, branches, etc. that got stuck inside the condenser fins. With the vacuum cleaner go over the fins, but be very cautious not to bend or damage any of the fins. Next phase is to unscrew the top grille of the unit. Once again, use the vacuum cleaner to remove the debris and dust around the motor of the air conditioner. After you are done with that, use the hose to directly wash the interior side. However, since this is an electric machine, be extremely cautious and avoid spraying on the electrical parts. Also watch out not to bend the fins. Last step is to wipe out and clean the fan blades by using the soft cloth. After you are done with that, reattach the top grille. Always remember that your air conditioner requires constant check-ups and cleaning. 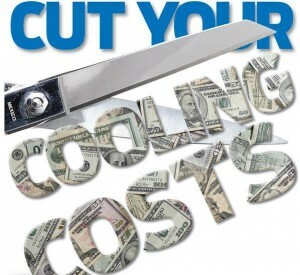 If you maintain your air conditioner in a proper shape, you would avoid any unnecessary AC repairs of the unit. Share the post "Is It Necessary to Clean the Air Conditioner?" Posted in Air Conditioning FAQ's, Blog Articles and tagged ac fresh air, ac maintenance, air conditioners, air fresh, fresh air, fresh air consditioning, quality air, quality live ac.